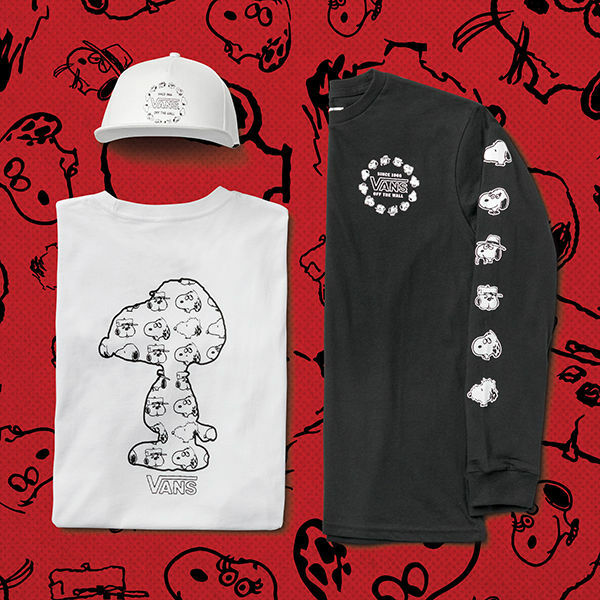 Vans and Peanuts collaborate for another Footwear and Apparel Collection For The Whole Family - Zim Kicks. Curating information about global sneaker culture, news and trends. 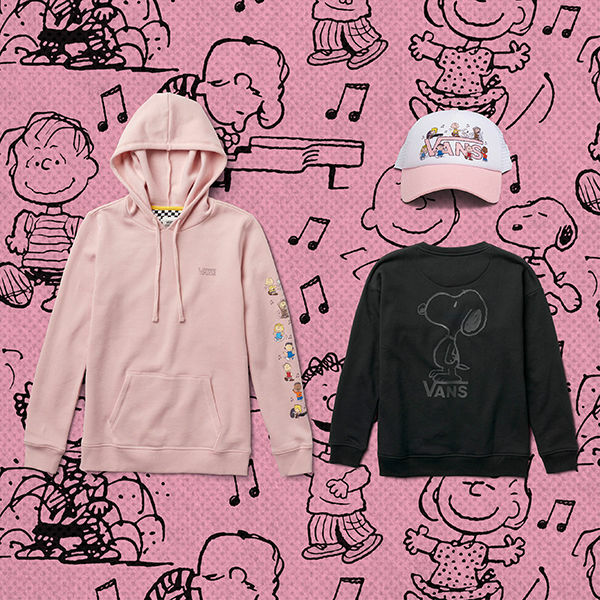 Vans continue its long lasting relationship with Charlie Brown, Snoopy and Peanuts Gang in their latest apparel, shoe wear collection and other accessories this October. 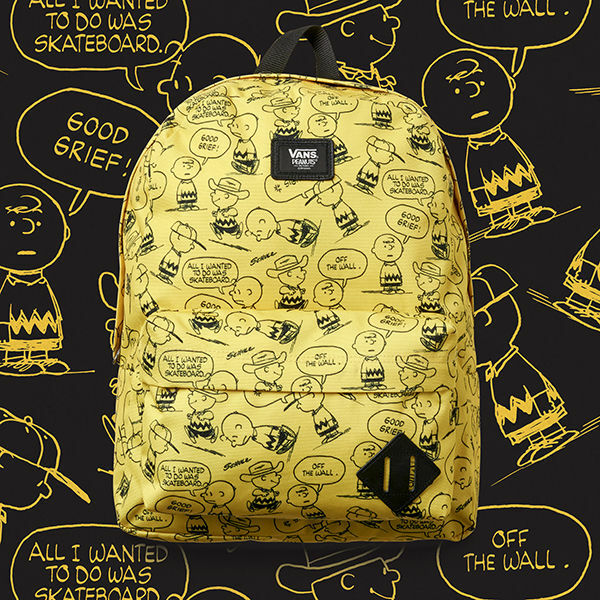 The collection pays homage to the iconic characters and the original Peanuts specials. 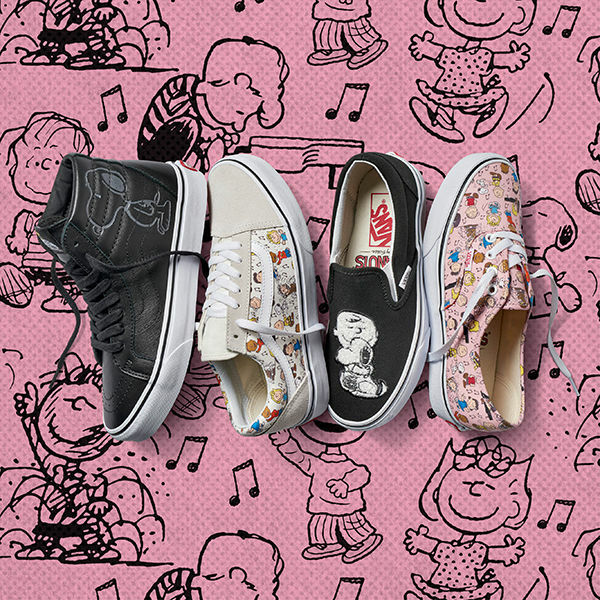 In honor of the 25th anniversary the vans designers included Snoopy and his family members across the canvas. 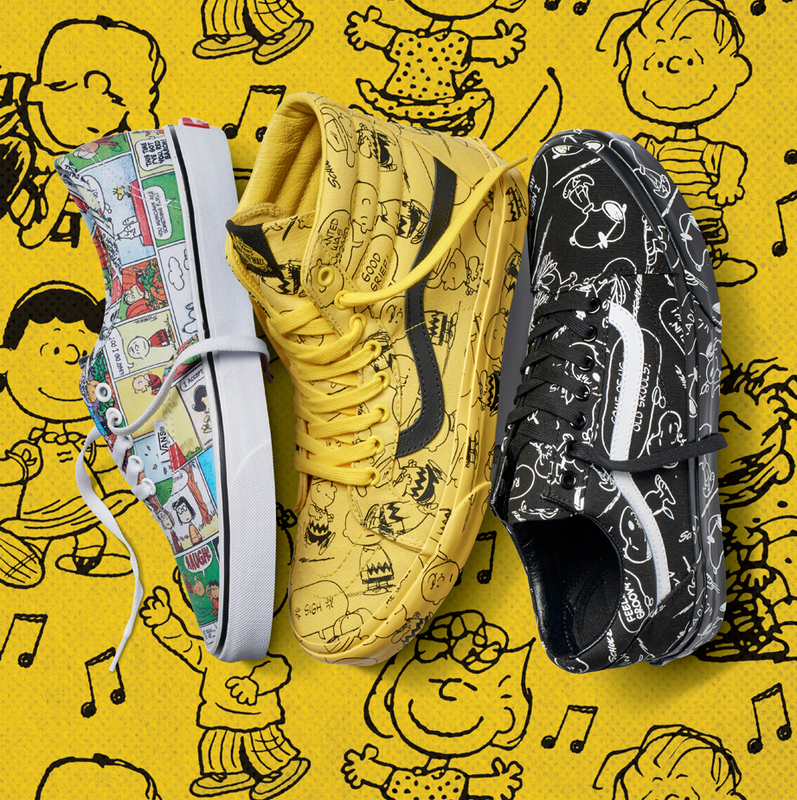 Peek closely you can see Snoopy's brother, Spike on the Half Cab's tongue label with a checkerboard printed hat and Schulz signature embossed into the suede toe box. The Sk8-Hi Reissue gets a premium upgrade with leather materialization and has been embossed on the quarter panels to include the subtle presence of Snoopy and a hidden Woodstock can be seen on the label. 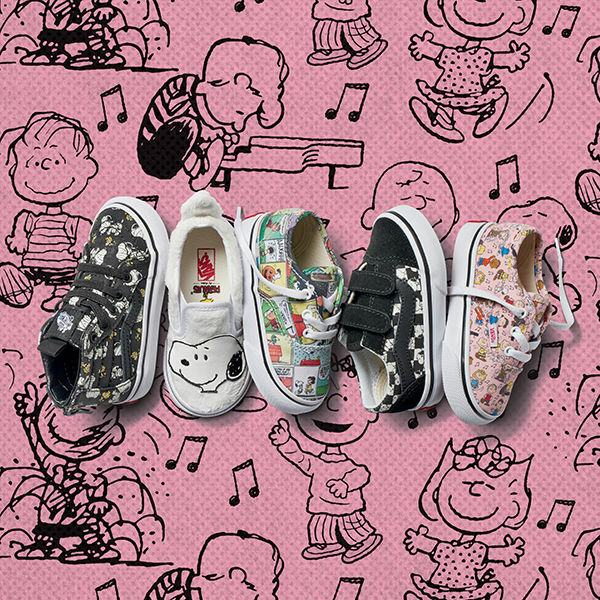 A very special classic Slip-on was created to celebrate the everlasting friendship between Charlie Brown, Snoopy and Woodstock and features plush patches on the vamp of each slip-on and is finished with "Best Friends" embossed into the front toe bumper of each shoe. 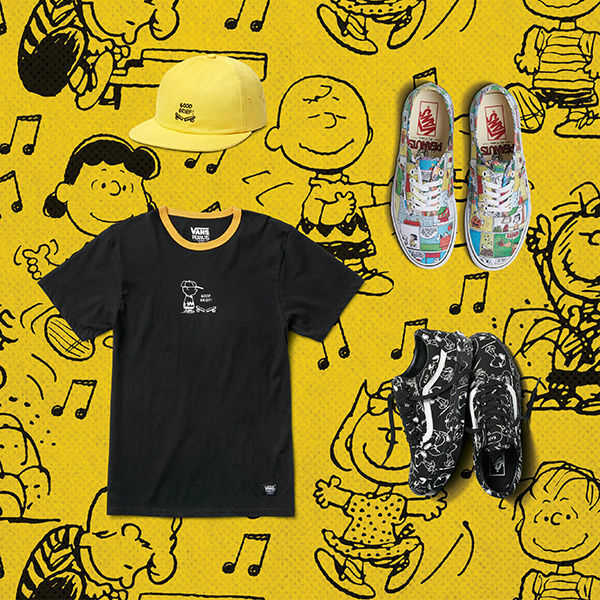 The latest Vans x Peanuts collection of footwear, apparel and accessories will be available to shop in Vans retail stores and online! 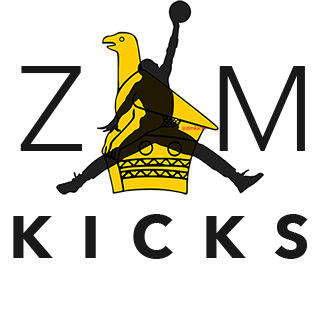 Subscribe to our mailing system and stay tuned for more sneaker news.